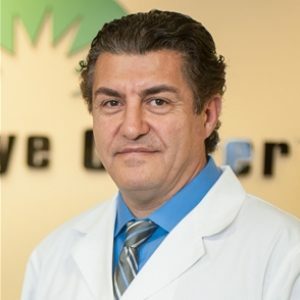 In June of 2014, Dr. Yaldo introduced the most precise LASIK treatment available anywhere in the world to Michigan, surpassing even the most advanced wavefront-guided Lasik options. In over 90% of cases, CATz topography-guided Lasik produces “Super-Normal Vision”, which is defined as better than 20-20 vision! The new topography-guided technology — known as Customized Aspheric Treatment Zone (or “CATz”) — maps the patient’s cornea by measuring nearly 7,000 points of light, versus the approximately 200 points of light measured with traditional wavefront technology. The most technologically advanced form of custom Lasik. Topography-guided Lasik or CATz is designed to produce “Supervision” – better than 20-20 vision! The majority of Lasik candidates are ideally suited for conventional or all Laser Lasik. But for those desiring better than 20-20 vision, topography-guided Lasik is the most advanced option available and the best way to go. – Over 95% of patients get 20-15 or better vision. Schedule A Free Evaluation to See if CATz is right for you!